11: EAA Brits breakfast Fly-in. 16: EAA Legends Talk Show. Captain Flippie Vermeulen. EAA Auditorium, Rand Airport. 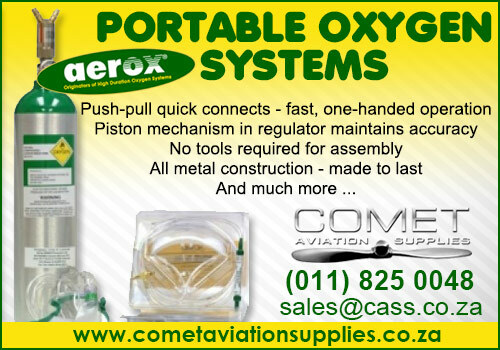 To book phone 0832597691. 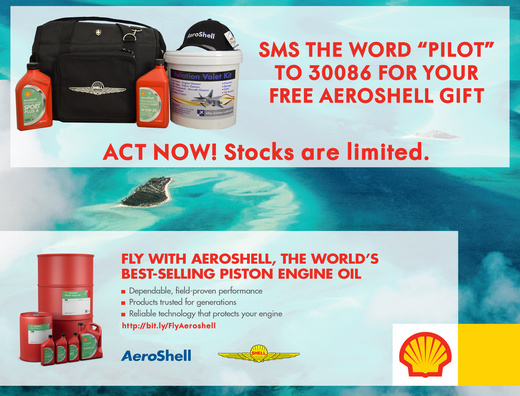 R50.00 per EAA Members. R70.00 for non members. Another of the popular single-place PSA (Personal Sport Aircraft), the Merlin has taken flight, just hours after receiving its Airworthiness Certificate. The builder (remaining anonymous due his celebrity) followed the manual and helped refine it. As he worked on his machine between engagements, he said, "I'm taking my time with this. I want everything to be perfect, and if that means stopping now and then to add to the manual, so be it." 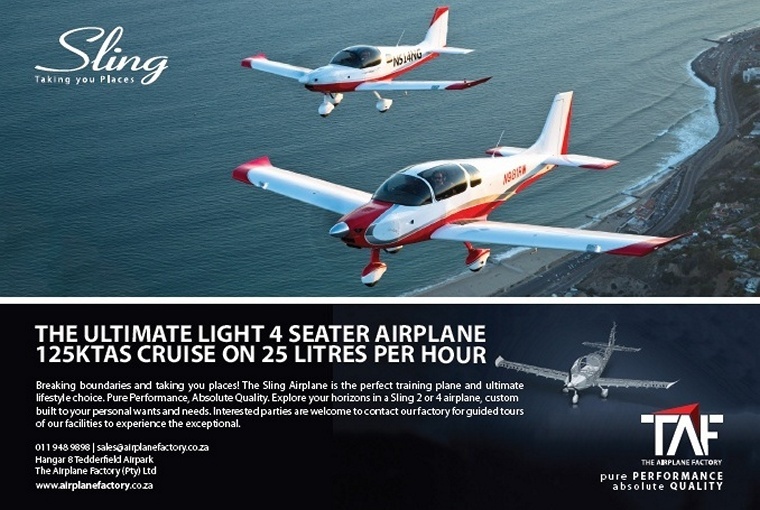 Chip Erwin, owner of Aeromarine LSA, is fine with that. "We're setting up the Builder Centre to allow customers to assemble their Merlins during their vacation, with time left over to fly. [This customer's] helpful and meticulous attitude will pay off for future customers, and it gave us time to explore options and their installation." The Merlin has established a reputation as the quickest-build true 51% kit available. So complete and builder-ready is the Quick Build Kit ("There is no Slow Build option," jokes Erwin) that most major assemblies and skins are already tacked into position for shipping, requiring the builder to do some disassembly to bring it to the 51% stage. The kit (without engine, instruments, and paint) is priced at just $18,500. Depending on engine, BRS, and panel options, completed and painted aircraft cost from $35k to $50k. CubCrafters displayed the newest Carbon Cub variants in the company's exhibit at AirVenture 2018. 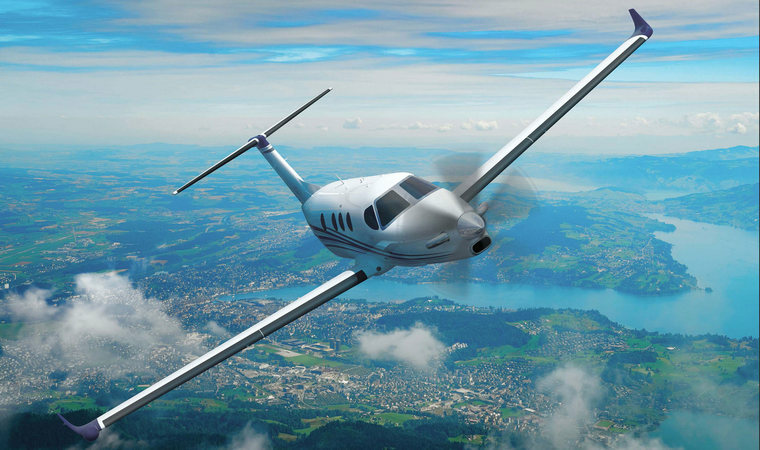 Both the EX-3 and FX-3 models spotlight CubCrafters' new fuel-injected engine, the addition of a constant-speed propeller, and a higher 2,000 lb. gross weight limit. The Carbon Cub EX-3 is an experimental amateur built (E-AB) kit, and the Carbon Cub FX-3 is the company's FX (Factory eXperimental) builder assist version. "The introduction of the 3rd generation of the Carbon Cubs has been an important milestone in the growth of CubCrafters' product line", says Pat Horgan, President of CubCrafters. "Together with our flagship certified XCub, these new Carbon Cub models have contributed to the best sales in CubCrafters' history." Brad Damm, Vice President of Sales and Marketing, collaborated with Horgan to define the product specification for the new EX-3/FX-3 models. "We listened closely to feedback from experienced flyers in our customer base," said Damm. "They wanted more speed and payload without sacrificing short-field performance. Pat and I envisioned an improved Carbon Cub airframe with a new lightweight fuel injected engine, driving a high performance composite constant-speed prop. 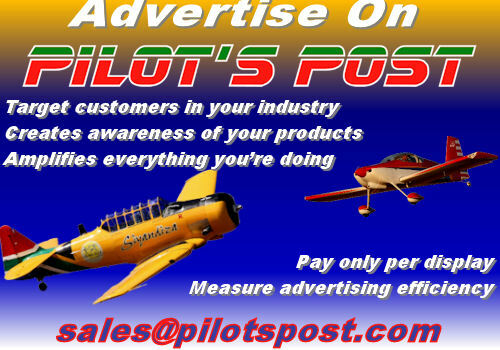 The PIREPs from those same flyers are gratifying; they absolutely love this new airplane." 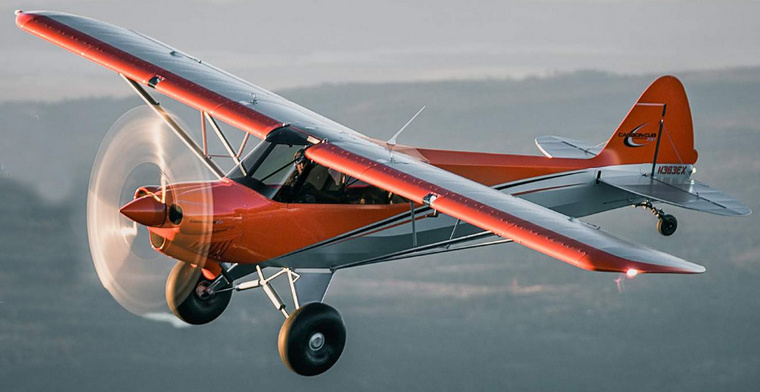 The newest additions to CubCrafters' product family appeal to an ever-widening group of aircraft buyers by offering higher performance, greater comfort, and superior construction over previous generations of taildraggers. "The newest CubCrafters aircraft have made adventure flying more appealing than ever and, as a result, our market is growing", says Damm. "As the size of our fleet increases, so does our commitment to support our owner community," adds Horgan. "Our investments in factory infrastructure and customer service are bearing fruit. We've already executed plans to increase production to cover increased demand for our aircraft. Buyers can expect an ever-higher level of service after they take delivery." Textron Aviation Inc., a Textron Inc. (NYSE:TXT) company unveiled its new full-scale Cessna Denali mockup at EAA AirVenture 2018 in Oshkosh, Wisconsin at Wittman Regional Airport. Photo © Textron. The mockup featured a complete cockpit with functioning avionics, fully updated interior and the McCauley 105-inch diameter composite, five-blade, constant speed propeller. "We have made great strides in the design and development of the Denali," said Rob Scholl, senior vice president, Sales and Marketing. "Since first introducing the aircraft at EAA AirVenture in 2015 - and unveiling the initial cabin concept in 2016 - we have fine-tuned the Denali's characteristics based upon feedback gathered from our customer base and look forward to delivering a best in class experience for pilots and passengers alike." The turboprop features the widest cabin cross-section in the segment, providing passengers with additional head and shoulder room - and more room for cargo and baggage. Taking cues from design elements found in Textron Aviation's large-cabin business jets, Denali delivers a new standard of luxury to turboprop passengers. Features such as larger seats and windows, as well as a modular refreshment center and an aft-located lavatory ensure passengers enjoy an enhanced level of comfort on board. During the show, demonstrations of the Denali's highly adaptable cabin will highlight its abundant space and transform the cabin from an executive configuration to a combi layout - configured for both passengers and cargo. "The mockup presents the first opportunity for customers to experience the full power of the Denali cockpit - one that revolutionizes the single engine turboprop segment," Scholl noted. "The Catalyst engine, developed by GE Aviation, is the segment's first powerplant with FADEC (Full Authority Digital Engine Control), equipping pilots with a digitally optimized single-lever engine and propeller control for ease of handling in flight. 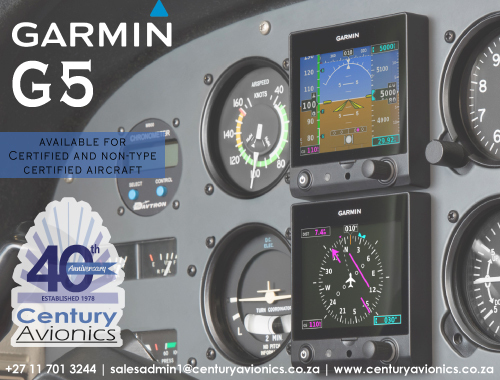 The Garmin G3000 flight deck modernizes turboprop avionics and significantly reduces pilot workload with dual touchscreen controllers and Automatic Speech Recognition (ASR) technology, enabling pilots to easily perform common tasks and manage the flight deck. Not one detail has been overlooked and the new Denali mockup is a true representation of the aircraft we will deliver to customers." Production of Tecnam P2012 Traveller serial number 3 is now well underway at Tecnam's Capua production facility. Photo © Tecnam. The next-generation 11 seat P2012 Traveller has been much anticipated by many airlines, who have been demanding a replacement for the hundreds of 'heritage' airplanes in the FAR23/CS23 category currently in service around the world. Cape Air will be the world's first airline to place the P2012 into commercial service. "We are very proud to have Cape Air as our launch customer. The P2012 Traveller is undoubtedly set to open a new chapter in aviation. 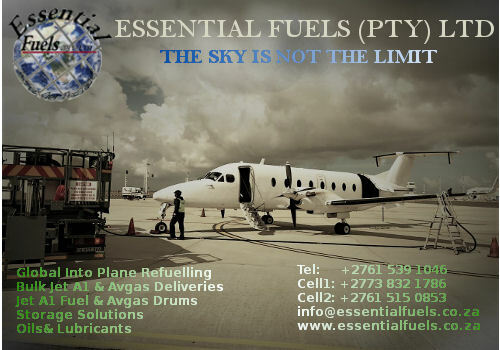 We could have no better ambassador for this game changing aeroplane then regional aviation leaders Cape Air." said Paolo Pascale, Tecnam CEO. "The structural test phase of our program took longer than anticipated," said Epic CEO, Doug King. "That's because our all carbon fibre design must conform to FAA-mandated structural strength requirements that are much higher than those imposed on metal aircraft." The company anticipates receiving FAA Type Inspection Authorization (TIA) this month. TIA is a crucial precursor to type certification, as it confirms the aircraft design, structural and flight test results demonstrate compliance with FAA regulations. It also signifies confidence in the program by allowing FAA pilots on board the aircraft to conduct the final phases of conformity inspections and flight testing. "We are on the final stretch," confirms King. 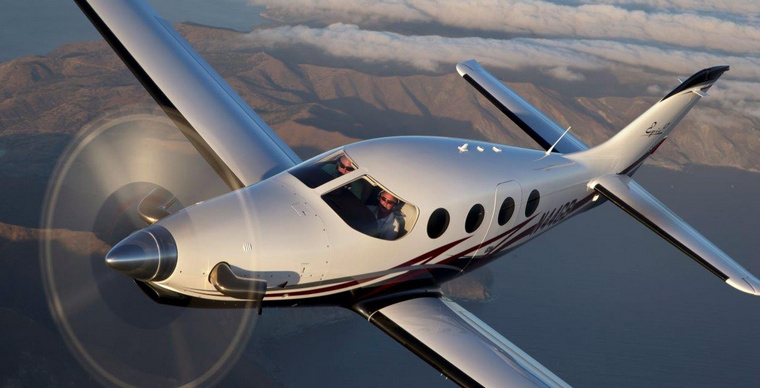 "We have flown over 625 hours in our two flight test articles, meeting most of the required airworthiness, performance and handling characteristics. We are ready to conclude this final phase of FAA-conforming flight testing, keeping us on track for type certification later this year." With structural testing complete, the E1000 manufacturing team is now shifting focus entirely toward production certification. "We have doubled our composite fabrication capacity and refined workflows to support planned production volumes of 50 aircraft per year," said King. "We have added tooling, curing ovens, paint booths, storage freezers, CNC machinery, composite cutting and laser templating tools, as well as inspection, bonding and assembly equipment. We are currently running two production work shifts, with plans to eventually support around-the-clock-production capacity." Epic has also implemented sophisticated employee training programs to maintain, develop and grow its workforce. The company plans to begin converting the earliest of its 85 reservations into sales contracts later this summer to support initial customer deliveries in early 2019. Competitively priced at $3.25 million fully-equipped, Epic offers one of the lowest acquisition costs in its category. "Carbon fibre gives us a tremendous advantage," adds King. "It's fast, it's sleek, it's strong, and it's easier to maintain. It requires significantly fewer parts than traditional metal aircraft, with a streamlined assembly process. 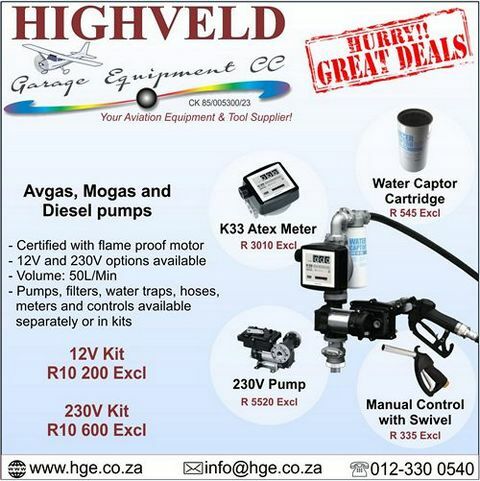 That combination of beauty, strength and performance at an affordable price truly sets us apart in the marketplace." 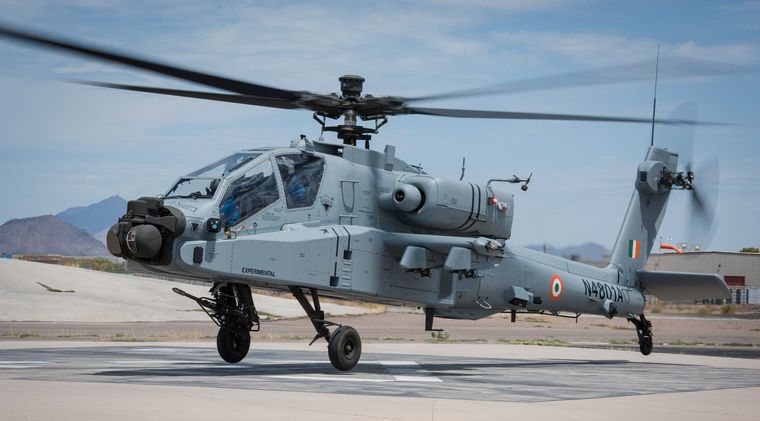 Boeing [NYSE: BA] and India recently took a significant step toward modernizing the Indian Air Force's helicopter fleet by completing the first flights of Apache and Chinook helicopters destined for delivery next year. "We look forward to delivering this phenomenal capability to India," said David Koopersmith, vice president and general manager, Boeing Vertical Lift. "From coastal operations to high-altitude mountainous missions, these aircraft will play vital roles with the Indian armed forces." Deliveries of 22 AH-64E Apache and 15 CH-47F(I) Chinook helicopters to India begin in 2019. Zephyr S, Airbus' High-Altitude-Pseudo-Satellite, has surpassed the current flight endurance record of an aircraft without refuelling of 14 days, 22 minutes and 8 seconds and continues to pioneer the stratosphere. Photo © Airbus. The Zephyr aircraft departed for its maiden flight from Arizona, USA on 11th July 2018. This first flight of the Zephyr S aims to prove and demonstrate the aircraft capabilities, with the final endurance record to be confirmed on landing. Operating in the stratosphere at an average altitude of 70,000 feet / 21 kilometers, the ultra-lightweight Zephyr has a wingspan of 25 meters and a weigh of less than 75kg, and flies above weather (clouds, jet streams) and above regular air traffic, covering local or regional footprints. Ideally suited for "local persistence" (ISR/Intelligence, Surveillance & Reconnaissance), the Zephyr has the ability to stay focused on a specific area of interest (which can be hundreds of miles wide) while providing it with satellite-like communications and Earth observation services (with greater imagery granularity) over long periods of time without interruption. Not quite an aircraft and not quite a satellite, but incorporating aspects of both, the Zephyr has the persistence of a satellite with the flexibility of a UAV. The only civil aircraft that used to fly at this altitude was Concorde and only the famous military U2 and SR-71 Blackbird could operate at similar levels. The Zephyr successfully achieved several world records, including the longest flight duration without refuelling. UK, Becksford, Tewkesbury: A Robinson R22 helicopter crashed under unknown circumstances. Both occupants survived the crash and managed to get themselves out. A female passenger was treated for back and abdominal pain, given pain relief and transported to Worcester Royal Hospital by land ambulance. Saudi Arabia, Riyadh-King Khalid International Airport: Jet Airways Boeing 737-800, suffered a runway excursion after an aborted take-off at Riyadh-King Khalid International Airport, Saudi Arabia. There were 142 passengers and 7 crew members on board. India, Hyderabad: A Jazeera Airways Airbus A320-200 on a flight J9- from Kuwait (Kuwait) to Hyderabad (India) with 145 people on board, landed at Hyderabad and slowed to taxi speed and was about to turn off the runway when continuous flames out of the right hand engine's exhaust occurred. The aircraft stopped on the taxiway, an evacuation through the left hand doors was initiated, the crew shut the engine down. Emergency services responded and put the fire out. There were no injuries. All-time highest-scoring American flying ace (40 credited kills) Richard Bong is killed trying to bail out of a Lockheed P-80A Shooting Star jet fighter after a fuel pump failure during a test flight at Burbank Airport, Burbank, California, USA. Photo By USAAF official photographer commons.wikimedia.org. 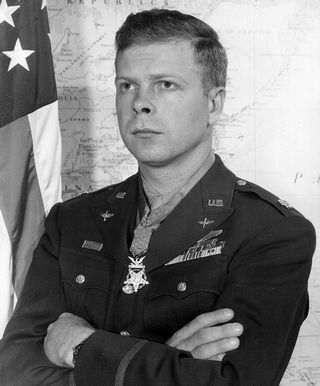 Richard Ira Bong, born on 24 September 1920 grew up on a farm in Poplar, Wisconsin where he became interested in aircraft at an early age while watching planes fly over the farm. He also was a prolific model aircraft builder. A Major in the United States Army Air Forces major and Medal of Honour recipient in World War II. 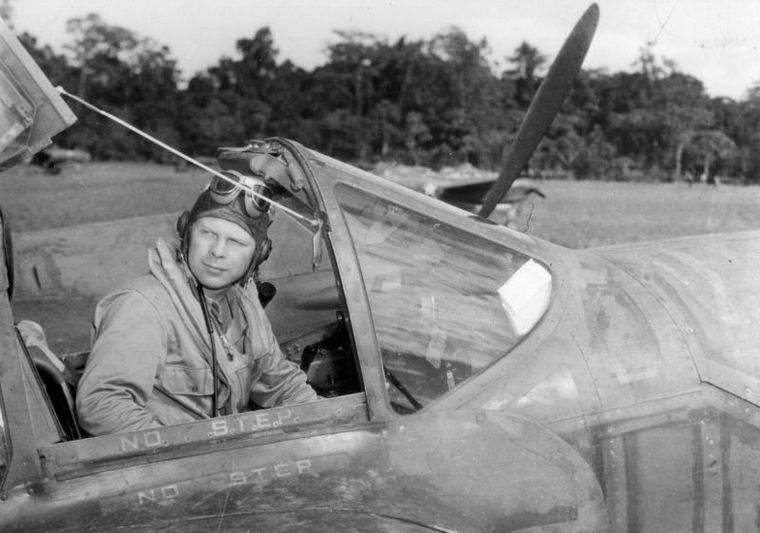 Bong was one of the most decorated American fighter pilots and the country's top flying ace in the war, credited with shooting down 40 Japanese aircraft, all with the Lockheed P-38 Lightning fighter. Bong's ability as a fighter pilot was recognized while he was training in northern California. He was commissioned a second lieutenant and awarded his pilot wings on January 19, 1942. His first assignment was as an instructor (gunnery) pilot at Luke Field, Arizona. His first operational assignment was on May 6 to the 49th Fighter Squadron (FS), 14th Fighter Group at Hamilton Field, California, where he learned to fly the twin-engine Lockheed P-38 Lightning. On September 10, 1942, Lt. Bong was assigned to the 9th Fighter Squadron, which was flying P-40 Warhawks, based at Darwin, Australia. In November, while the squadron waited for delivery of the scarce P-38s, Bong and other 9th FS pilots were reassigned temporarily to fly missions and gain combat experience with the 39th Fighter Squadron, 35th Fighter Group, based in Port Moresby, New Guinea. On December 27, Bong claimed his initial aerial victory, shooting down a Mitsubishi A6M "Zero" and a Nakajima Ki-43 "Oscar" over Buna during the Battle of Buna-Gona. On April 12, Captain Bong shot down his 26th and 27th Japanese aircraft, surpassing Eddie Rickenbacker's American record of 26 credited victories in World War I. The Lockheed P-80 Shooting Star was the first jet fighter used operationally by the United States Army Air Forces (USAAF). Designed and built by Lockheed in 1943 and delivered just 143 days from the start of the design process, production models were flying, and two pre-production models did see very limited service in Italy just before the end of World War II. Richard Bong was killed on an acceptance flight of a production P-80 in the United States on 6 August 1945. Bong crashed as a result of main fuel pump failure. The investigation of Bong's crash found that he had apparently forgotten to switch on a newly installed emergency fuel pump backup system, this pump, could have prevented the accident. He bailed out when the aircraft rolled inverted but was too close to the ground for his parachute to deploy.